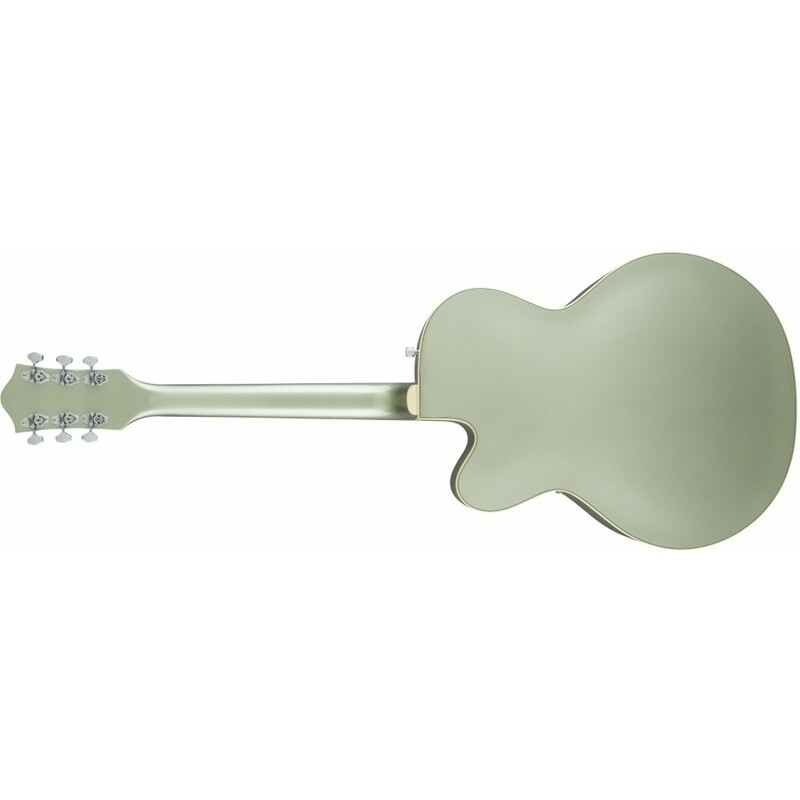 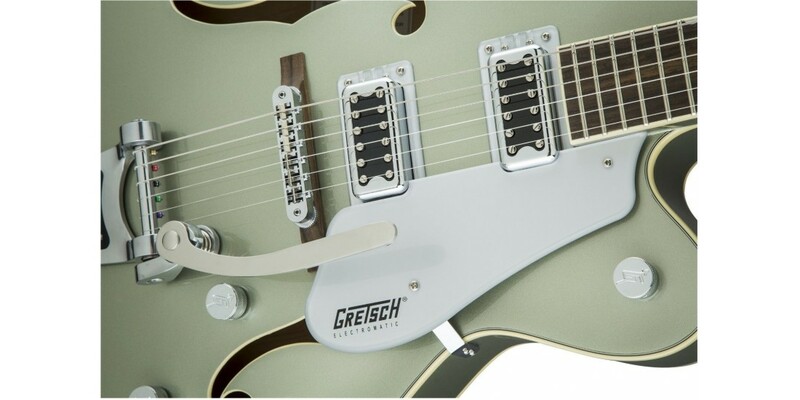 No nonsense, Electromatic hollow-body guitars are the perfect real, pure and powerful Gretsch instruments. 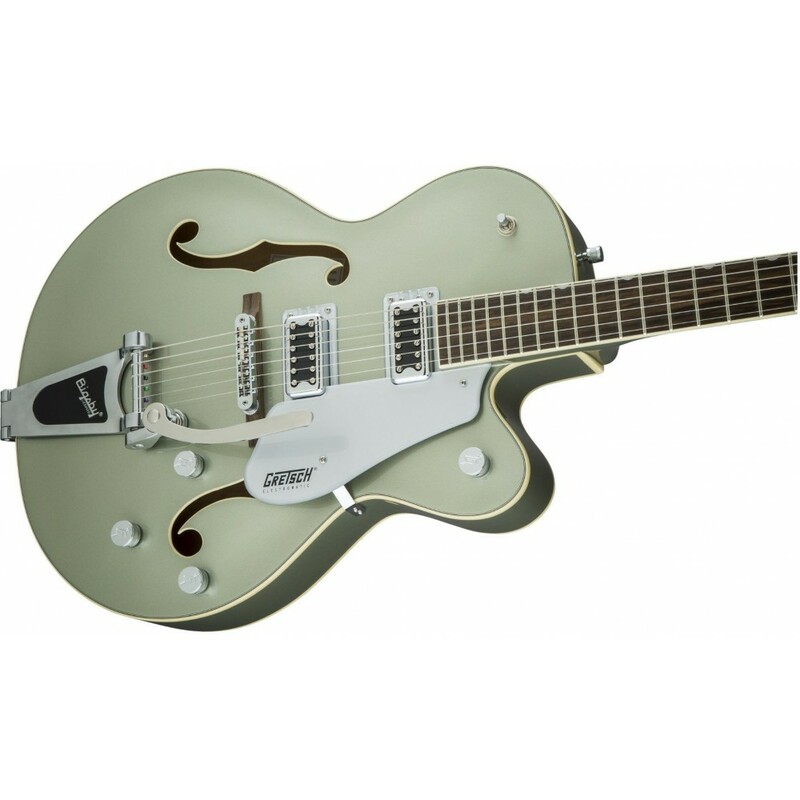 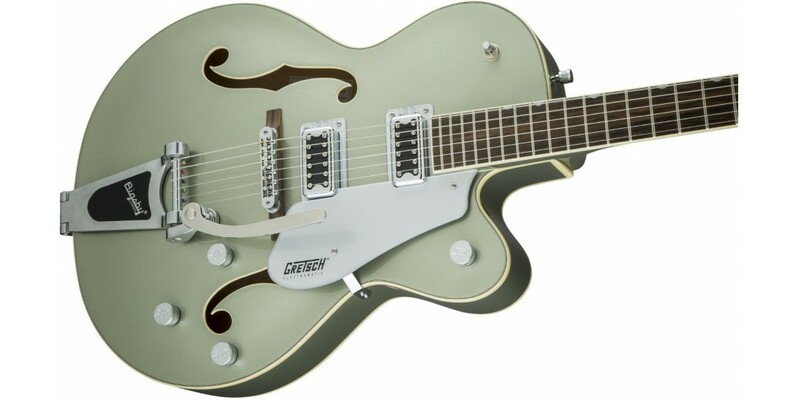 They're your next-step Gretsch - bold, dynamic and articulate, and crafted with essential Gretsch sound, style and playability. 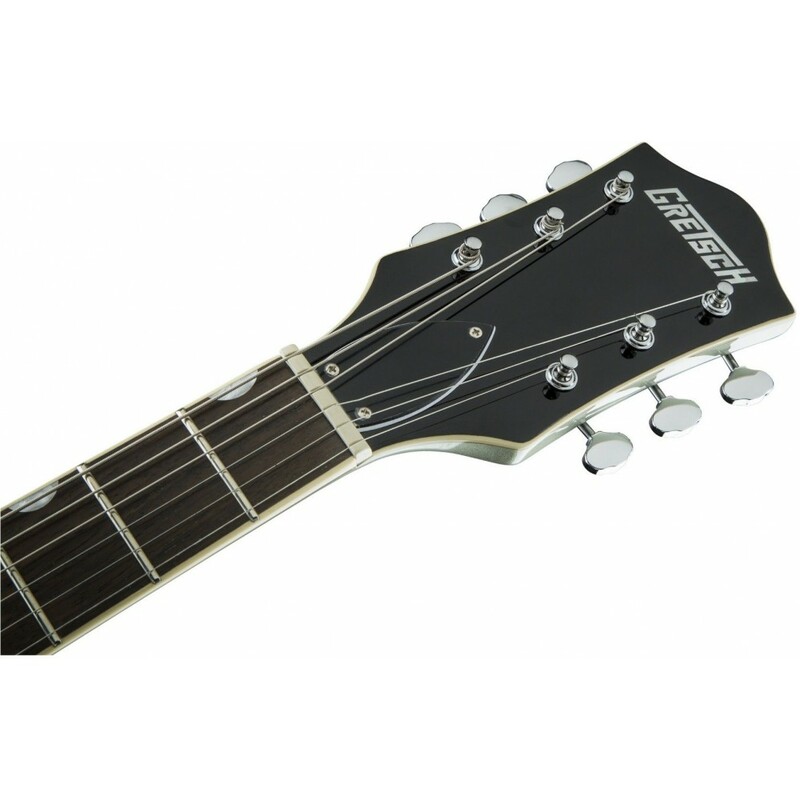 Alive and resonant, the G5420T has fully hollow build with a true Filter'Tron voice that explodes with huge punch and clear, strong presence. 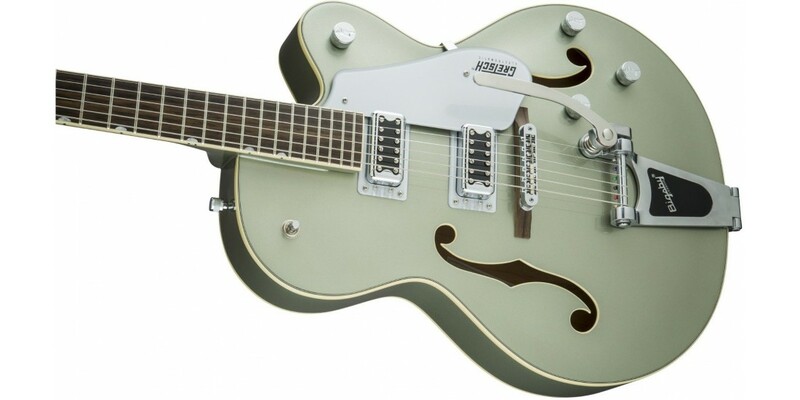 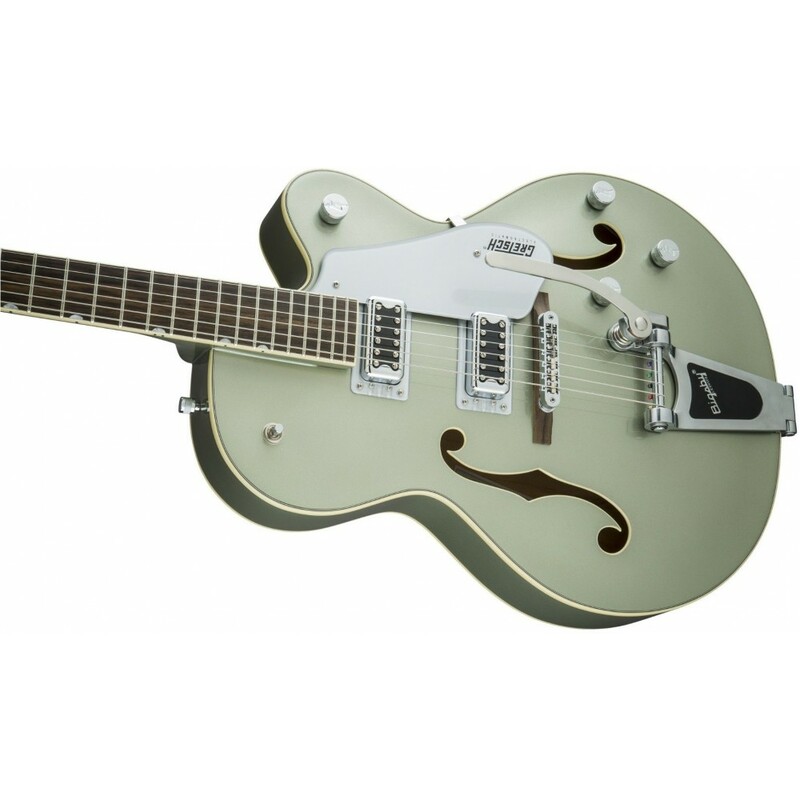 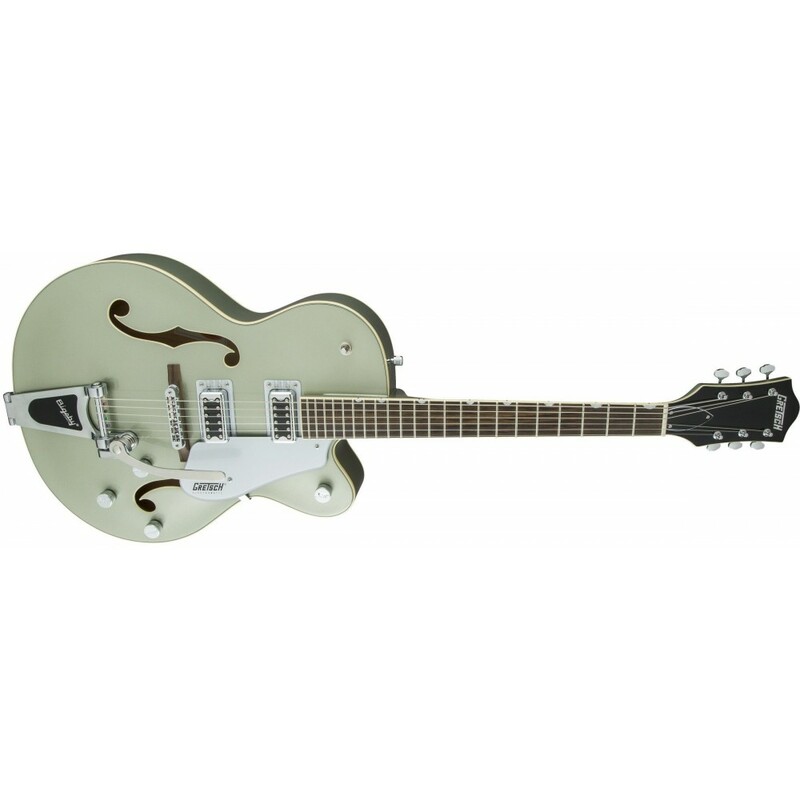 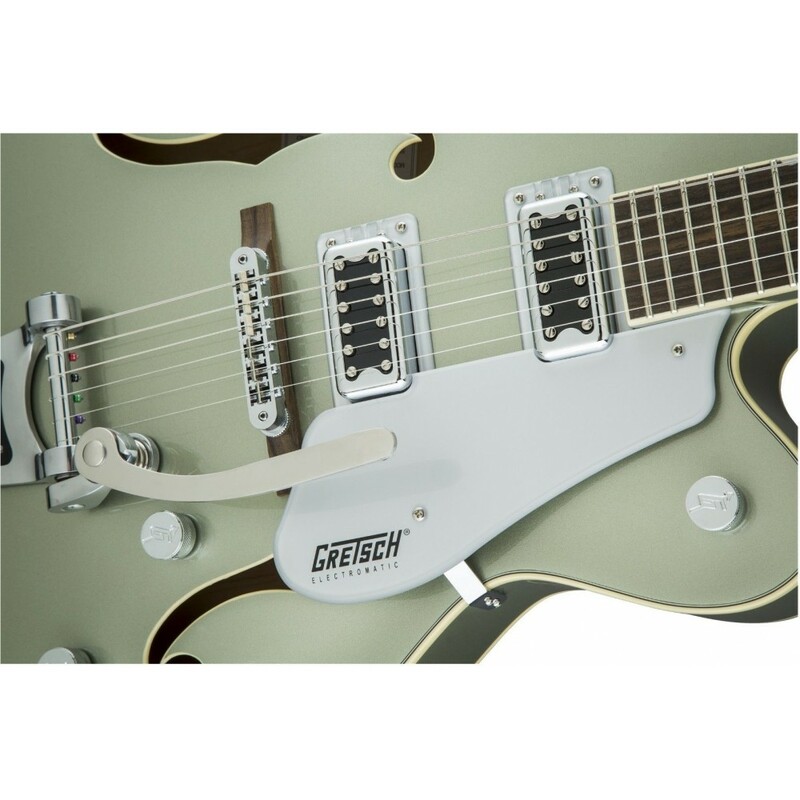 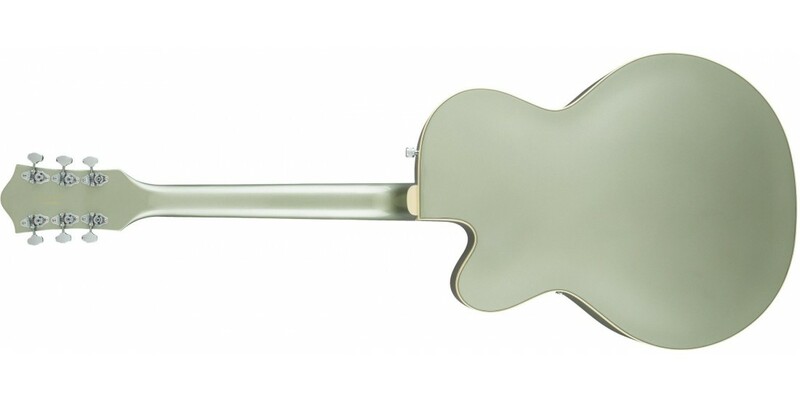 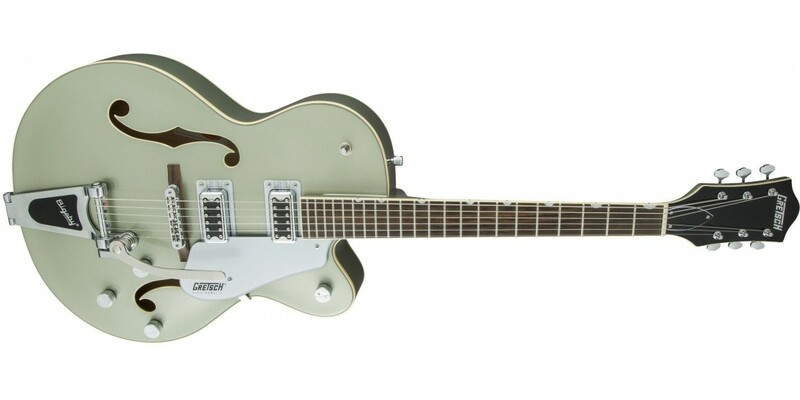 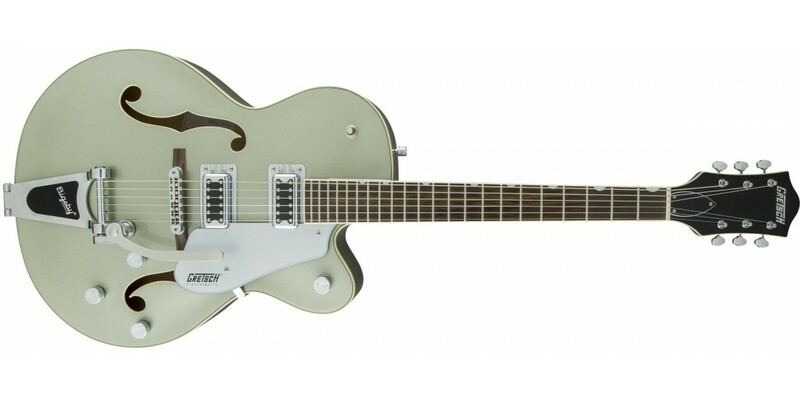 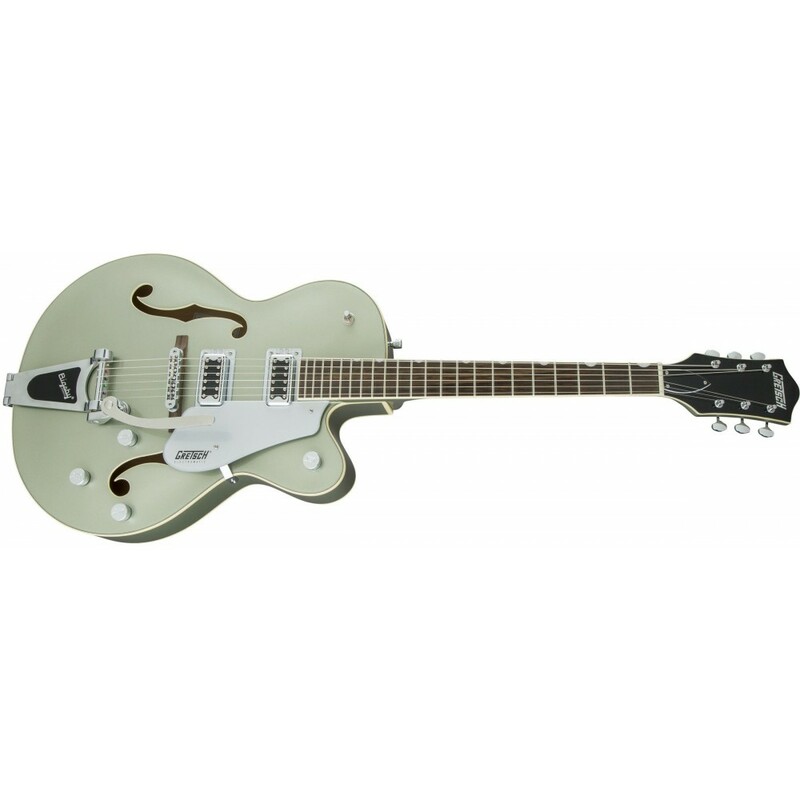 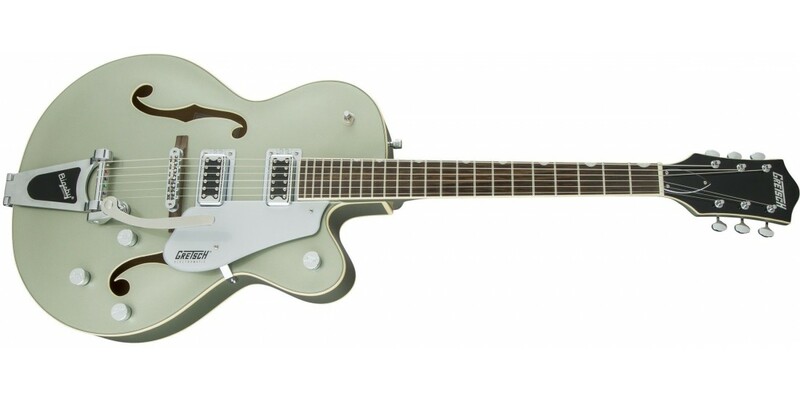 Like all Electromatic guitars, it delivers the fearless and electrifying authenticity that has set Gretsch apart as the quintessential rock 'n' roll guitars from the very beginning. 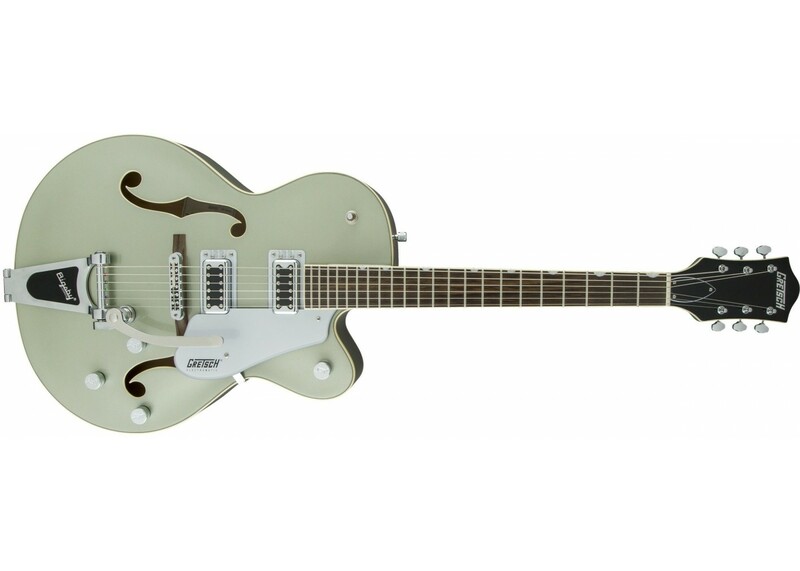 It's the sound of honor itself - play proud. 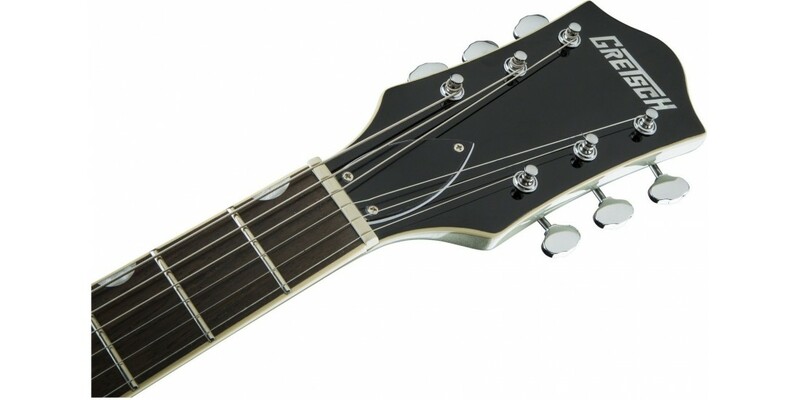 Premium features include: Dual "Black Top" Filter'tron humbucking pickups, Versatile upgraded controls including master volume treble-bleed circuit, Oversized bound F holes and aged multi-plybody binding, Smaller late-'50s G6120 bound headstock, Graph Tech NuBone nut, Pearloid Neo-Classic "thumbnail" finger board inlays, Bigsby B60 vibrato tailpiece.